Your Holiday Village 800 meters from the beach! An exceptional holiday on the Côte de Beauté! Océan Vacances welcomes you to the Domaine de la forêt de Suzac,Village Vacances in Saint Georges de Didonne in Charente-Maritime (17) An exceptional holiday on the Côte de Beauté ! 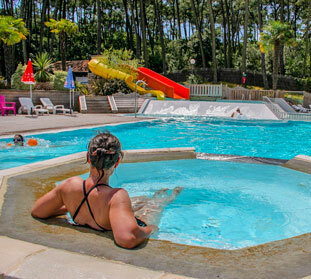 Located in Saint Georges de Didonne near Royan, a charming seaside resort on the Atlantic coast, the Village Vacances du Domaine de la Forêt de Suzac welcomes you for a dream holiday near Royan in Charente-Maritime. Océan Vacances welcomes you to Domaine de la forêt de Suzac. Camping 4 Stars in Saint Georges de Didonne. Our mobile homes rentals are made for you! With their large semi-covered or fully covered terrace according to our models to be able to enjoy the outdoors as much as possible, you will enjoy sharing your meals there. 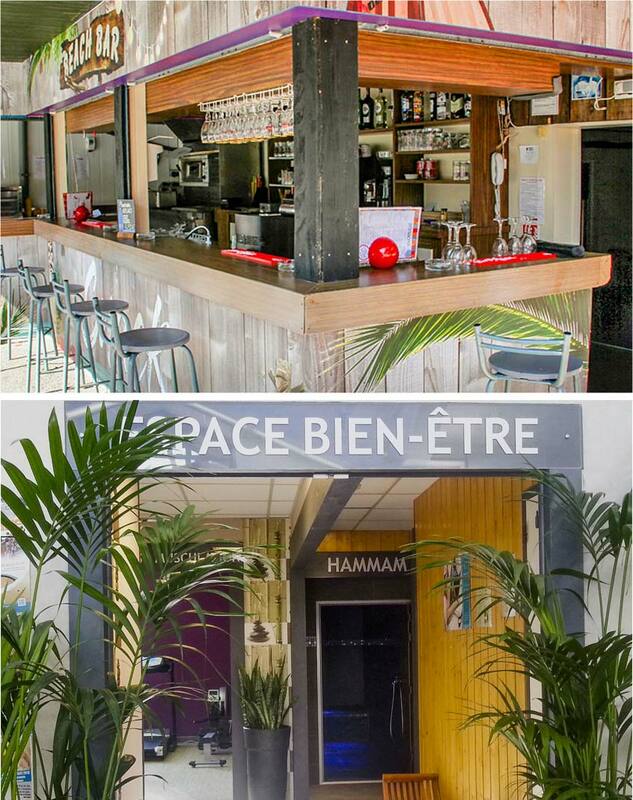 Hotel near Royan in St Georges de Didonne. Stay in the Holiday Village in a comfortable setting, have an unforgettable holiday! New in the region!!! To take a more or less long break, taking advantage of all the facilities of the Holiday Village. Our cottages will surprise you with their infrastructures: one floor for each, one terrace, one or two bathrooms but also with their location more or less close to the common areas such as the aquatic area or the city-stadium or more quiet on the forest side. for camping, hotel, and lodging. Its peaceful environment is a real invitation to a return to basics. In the heart of a vast domain planted with pine trees, several holiday accommodations are available. 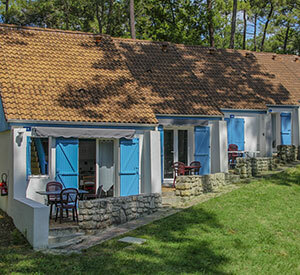 Domaine de la Forêt de Suzac has 45 4-star campsite mobile homes , 62 holiday homes (cottages) classified as 2-star holiday villages (currently being reclassified) and 20 2-star hotel rooms (including one adapted for people with reduced mobility, old standards) (currently being reclassified). We offer a range of comfortable mobile homes, fully equipped, all with a semi-covered terrace. At 800 metres, the beach of Saint Georges de Didonne offers you a safe swimming area, which promises as much afternoon to enjoy swimming as walks with your feet in the water at the end of a busy day. 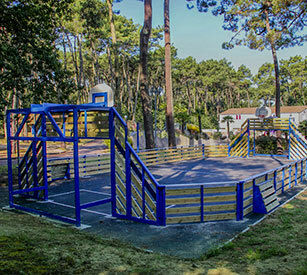 Lovers of active and sporty holidays, you will be delighted at Village Vacances du Domaine de la Forêt de Suzac. On site mini-golf, volleyball, table tennis, heated water park and City stadium are at your disposal. A wellness area is also available (paying services) Our entertainment team offers games, dancing evenings, concerts, night swimming, karaoke, quizzes, lotto, disco evenings, karting outings, gyropod rides on electric scooters… What you need to spend friendly moments with friends or family ! 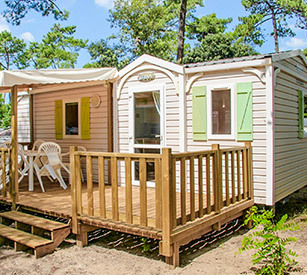 Our mobile homes are equipped with every comfort with a semi-covered or fully covered wooden terrace, offered in 3 ranges to meet your expectations with different options. Our Holiday Village is open 11 months out of 12, so our rentals are offered to you throughout this period in a cottage or mobile home (except during the winter period). felis Praesent tempus ut libero. Donec dolor felis ante.